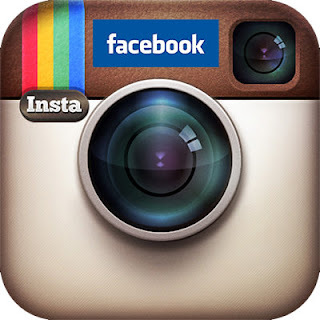 ilulz Blog: Facebook Buying Instagram ! Is this a good thing or a bad thing ? Facebook Buying Instagram ! Is this a good thing or a bad thing ? You all know the very famous app "Instagram" and how successful it is, since the day it was published. Instagram and for more than 18 months was only for iOS users "iPhone", with more than 27 million users. But now after the Android's version, released last week, Facebook was amazed by the number of Android users who have signed up with this app. 1 Million new members signed up through Instagram for Android for the first 24 hours alone. Just recently it was reported that Instagram had raised $50 million based on a $500 million valuation. No wonder Facebook wants to buy this application ! For all of you who don't know Instagram yet, allow me to introduce it to you. Instagram is a fun & quick way to share your life with friends through a series of pictures. Snap a photo with your iPhone or your Android device, then choose a filter to transfer the look and feel of the shot into a beautiful memory to keep forever. So briefly, it's really such an amazing application allowing you to experience moments in your friend's lives through pictures as they happen. As for the app features, well they are so many and amazing features. I highly recommend you try this application asap, and a BIG LIKE is guaranteed. Wait until you hear the great news ! For all of those who are not able to access this app through their mobile devices, or want to check out their photos and their friends' photos through the website. You may simply visit this website, sign in with your Instagram username & password, and enjoy checking your timeline and your friend's timeline. But the thing is that this website will allow you only to like, comment and view your pictures and your friends', and not posting new pictures with new filters. Now, however, let's talk business; 14 hours ago near Palo Alto, CA, Mark Zuckerberg "Facebook Cheif" announced "Facebook" big interest in buying the very famous application "Instagram", and that "They are looking forward to working with Instagram team and to all of the great new experiences they are going to be able to build together." Facebook couldn't wait anymore, and have decided to buy Instagram application "the most popular photo-sharing application", for about $1 billion in cash and stock. "It's important to be clear that Instagram is not going away. We'll be working with Facebook to evolve Instagram and build the network. We'll continue to add new features to the product and find new ways to create a better mobile photos experience. The Instagram app will still be the same one you know and love. You'll still have all the same people you follow and that follow you. You'll still be able to share to other social networks. And you'll still have all the other features that make the app so fun and unique"
"We think the fact the Instagram is connected to other services beyond Facebook is an impotrant part of the experience. We plan on keeping features like the ability to post to other social networks, the ability to not share your Instagram on Facebook if you want, and the ability to have followers and follow people separately from your friends on Facebook. This is an important milestone for Facebook because it's the first time we've ever acquired a product and company with so many users. We don't plan on doing many more of these, if any at all. But providing the best photo sharing experience is one reason why so many people love Facebook and we knew it would be worth bringing these two companies together." But it could also be the beginning of the end, if social networking heads was thinking of Instagram as a threat more than an opportunity ! So the future of Instagram is still a question with no answer ! By the end of this article, all I can say is good luck for both Facebook and Instagram. And hope that the peaceful world we were living through this application is not gonna be affected in a bad way. Microsoft SkyDrive started its own battle ! The most annoying alarm ever !